Pastrami on rye. Chopped liver. Hot potato latkes. 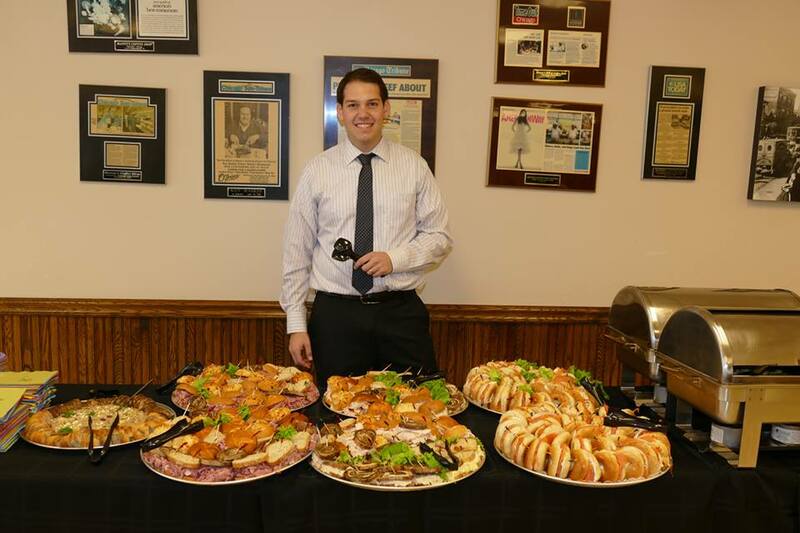 Jewish comfort food is serious, and if you want the best of the best in Chicago, you go to Manny’s, where the Raskin family recipes have been passed down for nearly 75 years. Anyone who has been lucky enough to visit Manny’s, knows that it is truly a living piece of Chicago history. Incepted just after World War II, the cafeteria style deli is located in the South Loop neighborhood of Chicago, and sits just steps away from the spot where The Great Chicago Fire originated. Though 32 year-old Dan Raskin has only been working and running Manny’s since he was in high school, it has been in his life forever. In fact, I think it is safe to say that he has matzo ball soup broth running through his veins. Now, with a huge restaurant renovation in the works, featuring take-out service and a bakery counter, Raskin has some big fish (likely smoked fish) to fry. The busy entrepreneur was kind enough to give us some insight on his favorite Chicago (and Italy) spots. My favorite sandwich is a combo corned beef and pastrami on rye with coleslaw. But, if I’m going hot entree, I’m going short ribs. I’m a big fan of Athenian Room in Lincoln Park. It’s been around forever, but people forget about it because it’s not in Greek Town. You’re going to the chair. What are you eating? I have been fortunate enough to travel a bit and my favorite meal ever was at La Giostra in Florence, Italy. The food is so fresh and by far the best Italian I have ever had. Hands down, Lou Malnati’s. The trick is to either eat at Lou’s or get them to deliver it in the pan. They’ll do it if you promise to return it the next day. I love the brunch at Chicago Cut. They have a great menu and an amazing patio in the summer. My kids love watching the boats on the river. It’s an unexpected family friendly place.